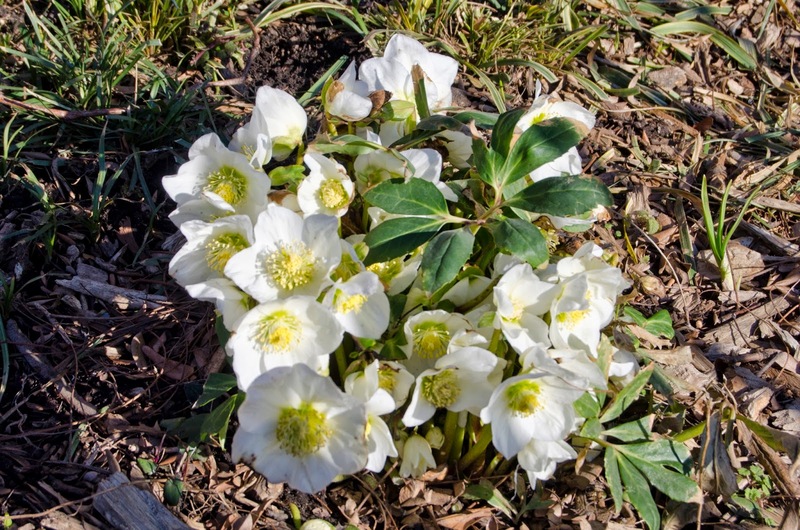 Despite the cold (32 F and windy in New York City) I saw these flowers today where last week there was snow. Some day soon this year's interesting insects and baby birds will come. Click to enlarge. I took this photo on Saturday, yesterday, the first full day of spring. That's three inches of fresh snow. Click to enlarge. It's cold outside and winter is stubbornly hanging on in the northeast. But there is hope. 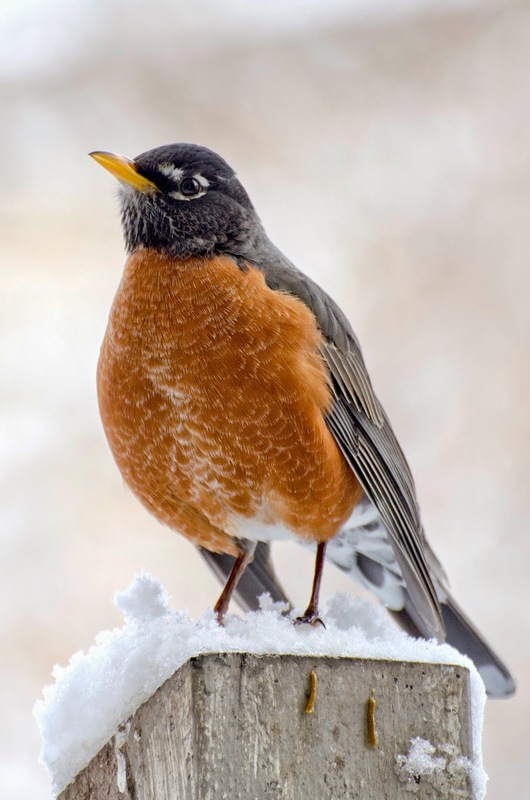 All winter long the robin in these photos has been coming to my porch to eat raisins and he has been very quiet. For the last few days he has been getting noticeably more vocal. He is not singing yet, but he is making calls and sweet whispery sounds that presage songs that will come soon. In anticipation, here is a quote from the Song of Solomon, 2:11-12. ...behold, the winter is past; the rain is over and gone. The flowers appear on the earth, the time of singing has come, and the voice of the turtledove is heard in our land. 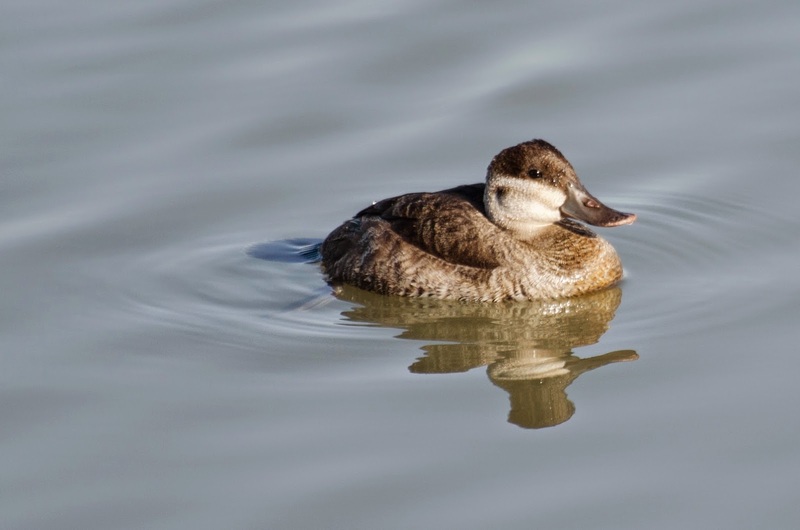 The ruddy duck, Oxyura jamaicensus, is one cute little duck you might see on the Atlantic coast in winter. 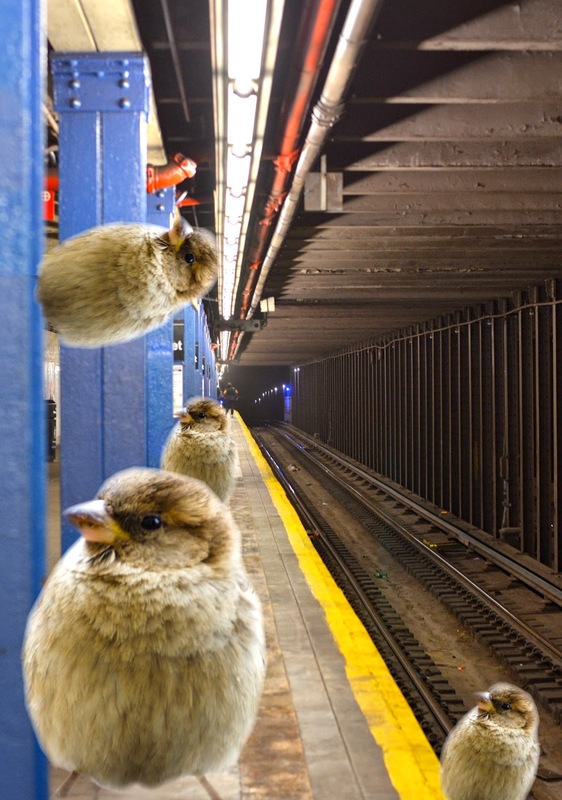 They mainly breed in prairie potholes out west; and when the males acquire their cinnamon colored breeding plumage, their common name makes more sense. 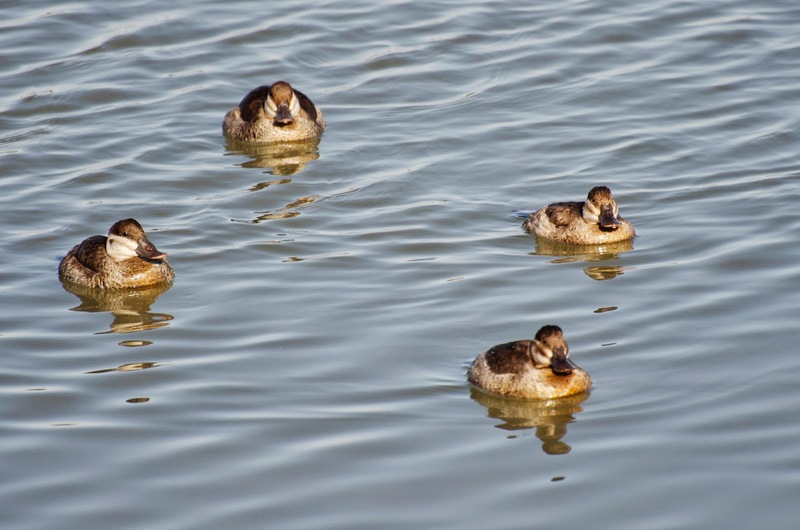 I took these pictures of ruddy ducks in non-breeding plumage last fall at the Edwin B. Forsythe National Wildlife Refuge in New Jersey. Do you know what time ducks wake up? At the quack of dawn! Do you know how to get down off a horse? You don't get down off a horse, you get down off a duck! A man and a duck are walking outside together. Suddenly the man sees a low flying plane and yells, "DUCK!" The duck looks back at him, annoyed, and yells, "MAN!" Ruddy turnstones, Arenaria interpres. Click to enlarge. I see ruddy turnstones in the nicest places -- ocean beaches, mud flats, jetties, rocky shores, and boat docks. 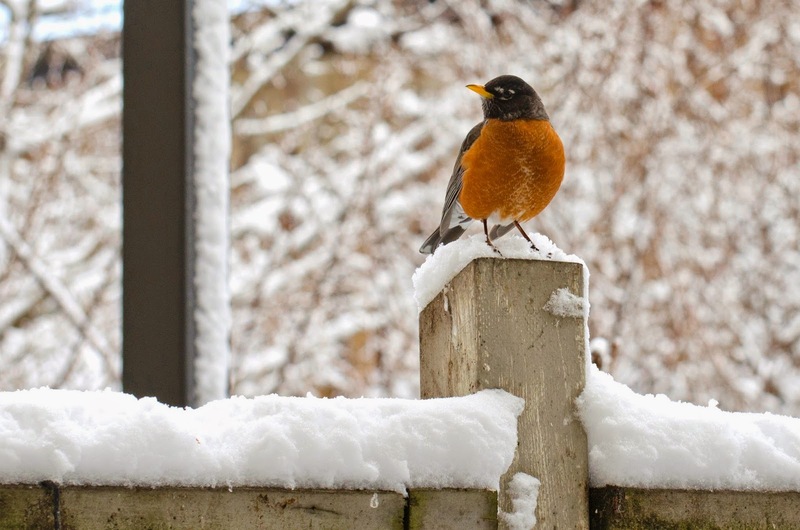 There are usually a few of them around New York and New Jersey in winter. I saw these in Cape May, New Jersey. They can be found wintering on the coasts of five other continents, too: Europe, Asia, South America, Africa, and Australia. 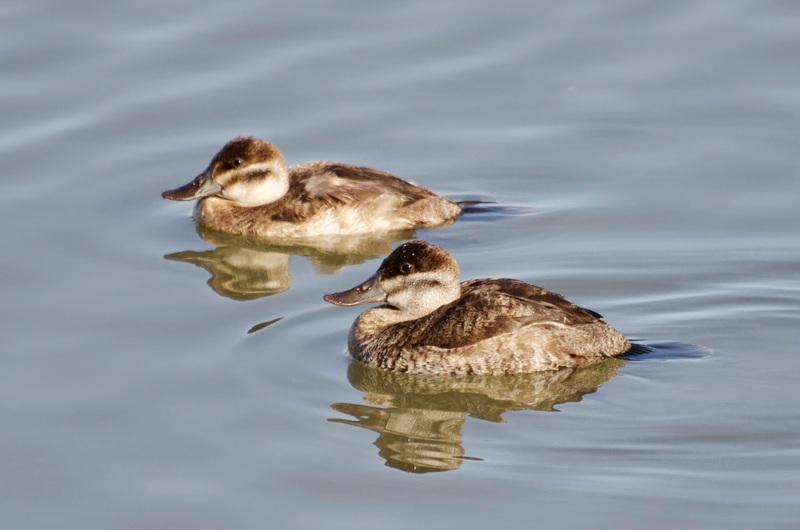 In summer they fly far north to breed on arctic tundra in North America and Eurasia. Turnstones get their common name from ... turning stones. They push their beaks under stones or shells and flip them over to look for food underneath. Sometimes a few turnstones work together to flip something. They also probe in seaweed, soil, and sand. In winter they eat mainly marine invertebrates. In summer they can feast on insects, too. Ruddy turnstones are about nine inches long. They have black bibs, white bellies, and orange legs. Both males and females have brown wings and when they fly they show bright white stripes on wings and backs. They will soon molt into breeding plumage. A breeding male ruddy turnstone has a reddish back contrasting with the bright white head and black bib; it is very spiffy in a harlequin kind of way.